The SANReN Performance Enhancement Response Team (PERT) is here to help solve your network performance challenges! We can assist with coordinating the resolution of network-related issues; advise on architectures, tools and best practices for overcoming performance limitations; and help researchers and scientists transfer data efficiently via the SANReN network. 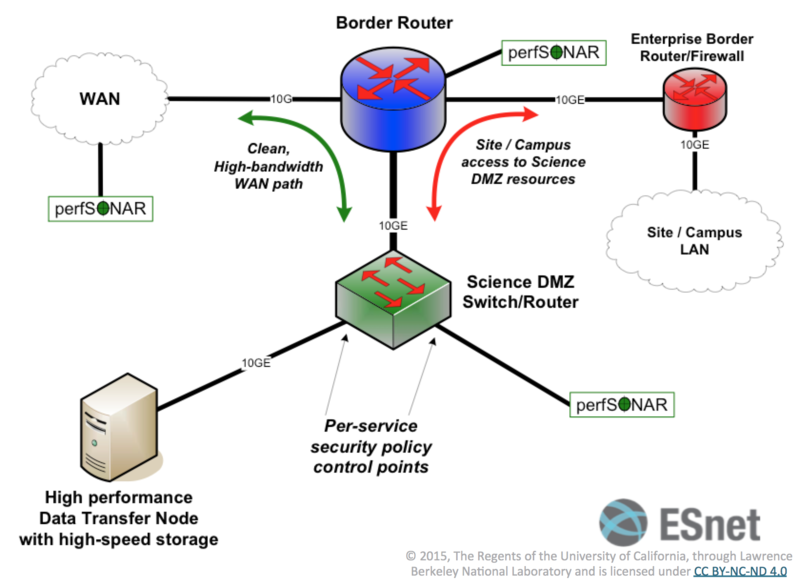 The SANReN PERT is currently (Dec 2017 – Mar 2019) running a Data Transfer pilot utilising a deployment of Data Transfer Nodes (DTNs) strategically placed at key locations on the network in a Science DMZ™ architecture in order to validate the optimisation of your data transfers. Please contact SANReN’s science engagement team for more information.